Severn House Publishers, 9780727887337, 224pp. 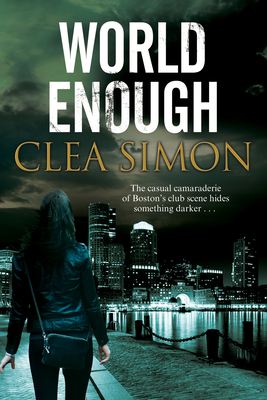 "Clea Simon writes with authority and affection about a lost world. Highly recommended"
The Boston club scene may be home to a cast of outsiders and misfits, but it's where Tara Winton belongs; the world she's been part of for the past twenty years. Now, one of the old gang is dead, having fallen down the basement stairs at his home. With her journalist's instincts, Tara senses there's something not quite right about Frank's supposedly accidental death. When she asks questions, she begins to uncover some disturbing truths about the club scene in its heyday. Beneath the heady, sexually charged atmosphere lurked something darker. Twenty years ago, there was another death. Could there be a connection? Is there a killer still at large ... and could Tara herself be at risk?